Executive Dashboards typically have several small graphs on a single page. These graphs are intended to provide a quick overview of a company’s key performance indicators (KPIs). Of course, when executives see something that doesn’t look right, they immediately want a closer look to confirm the graph is really displaying something odd. With this add-in, double click a chart to display it fullscreen and get a closer look. Once the odd condition is verified, executives want to know why their KPI is off. To answer that question we need a dive deeper into supporting data. 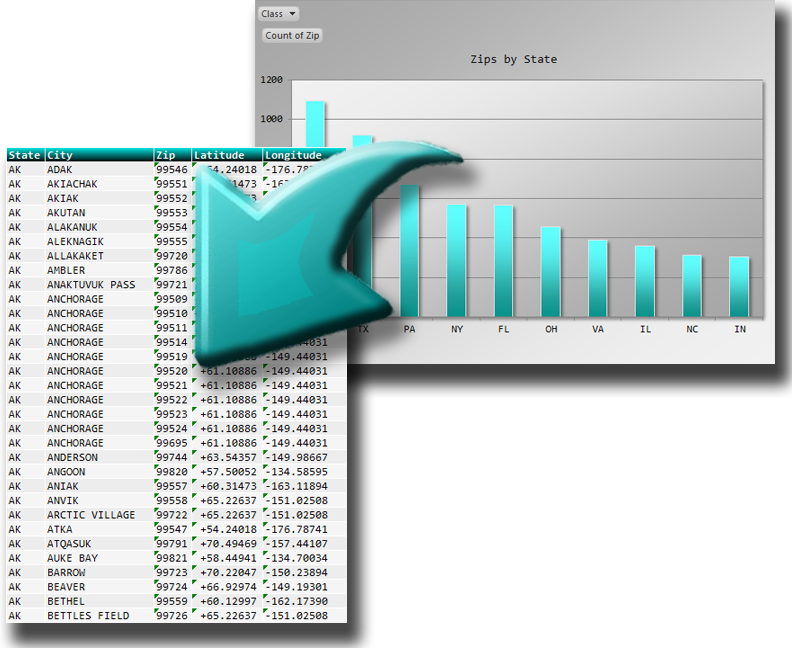 With this add-in, double click a graph’s element/series to display supporting data. Oddly enough, XL’s pivottables support drilldown but XL’s charts don’t. They should. This add-in adds in what Microsoft left out. While XL’s PivotTables support drilldown each drilldown request creates a new results worksheet. The more drilldown requests we make, the more clutter we create. With this add-in, results are directed to a single drilldown worksheet. Make as many requests as you like. This add-in keeps things tidy. Like all BXL add-ins, Drilldown is free and the code unprotected. My purpose is to raise awareness within the developer community as to the power of Excel and VBA, and to help raise VBA developer skills. So use this to up your skills, or just use it. Get it here (see link below).